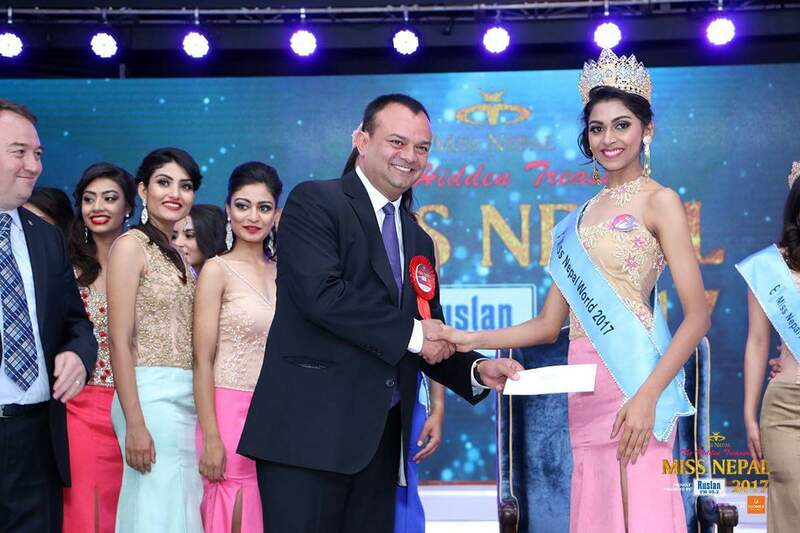 Nikita Chandak has been crowned Miss Nepal World 2017. 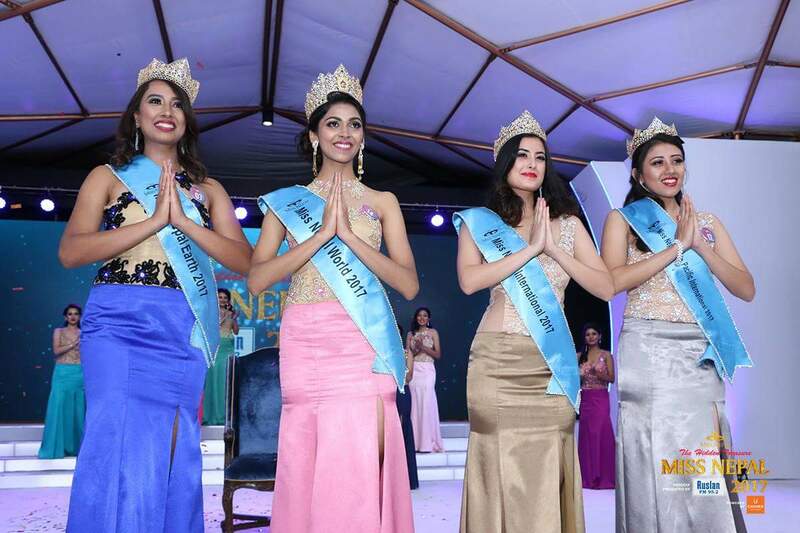 Miss Nepal 2016 Asmi Shrestha crowned her successor during the coronation night on Friday. The 20-year-old from Urlabari, Morang was one of the 19 contestants at the 22nd edition of the country’s most coveted pageant. 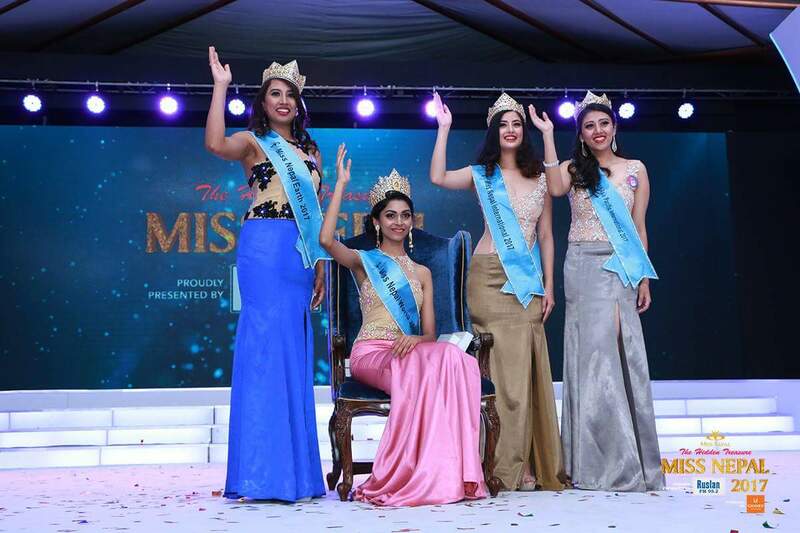 Rojina Shrestha (Contestant #7), Niti Shah and Sahara Basnet were named Miss Nepal Earth, Miss Nepal International and Miss Nepal Asia Pacific respectively. In the same event; Narmata Gurung was announced the winner of Miss Talent sub-title and Sahara Basnet won Miss Intellectual. 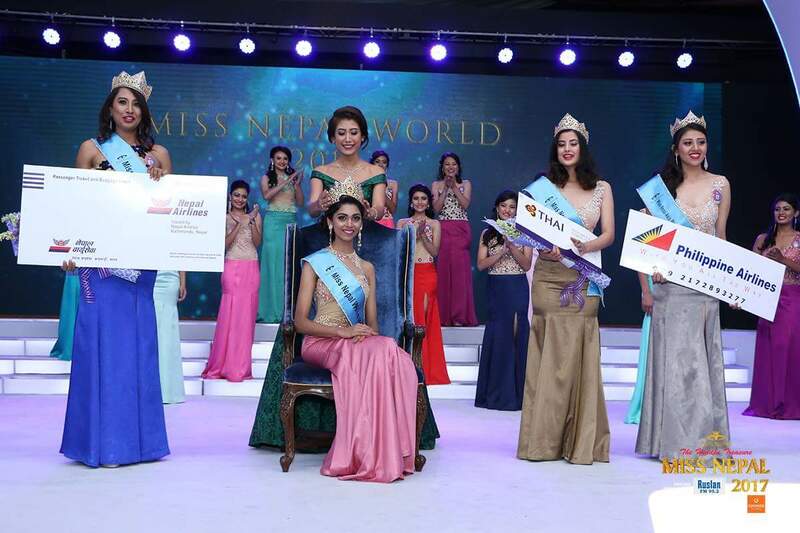 Niti Shah bagged Miss Fascino and Miss Best Complexion sub-titles. On the other hand; Rojina Shrestha, Barsha Pokharel and Anusha Lamsal won the sub-titles of Miss Friendship, Miss Best Hair and Miss Photogenic respectively. Similarly; Nikita Chandak was announced Miss Confident and Miss Popular. 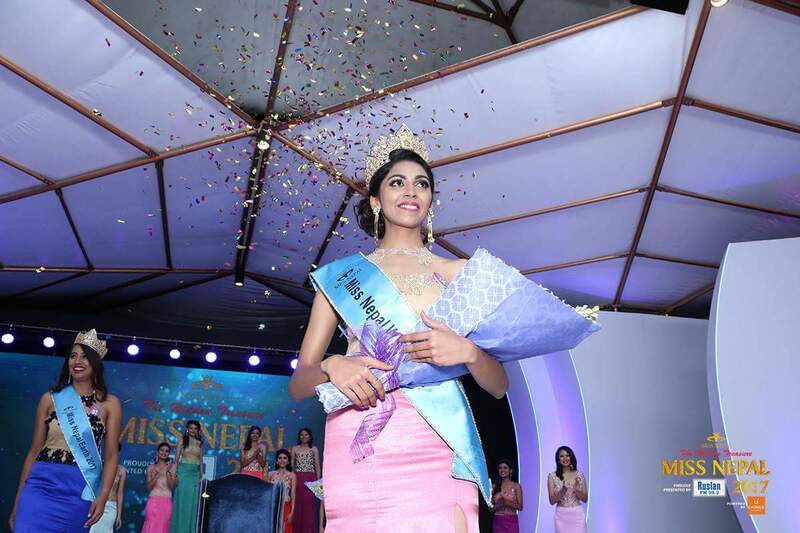 Manzari Singh bagged Miss Athlete and Dristi Katwal was announced the sub-title winner of Miss Beauty With Purpose. 14 semi-finalists were selected from the nineteen contestants, who were then shortlisted to top 7. 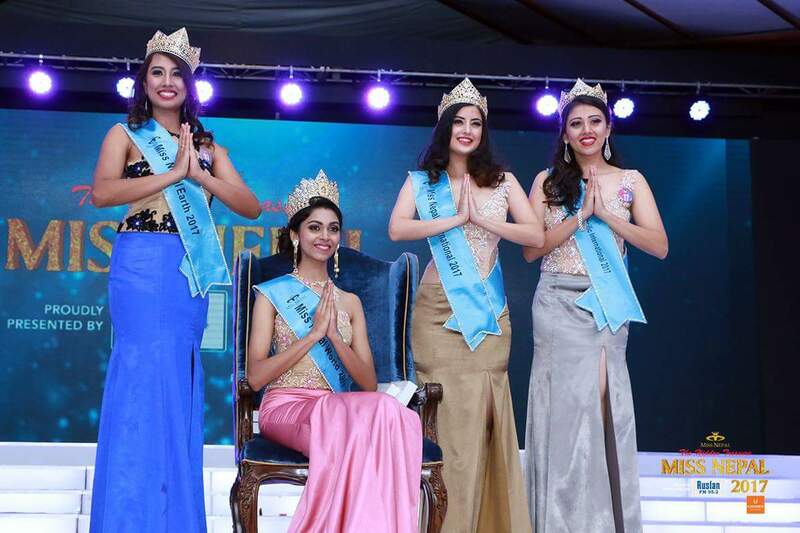 Apart from the four title winners, Rojina Shrestha (Contestant #6), Rakchya Karki and Manzari Singh had made it to the top 7. Sanjay Gupta and Subeksha Khadka had hosted the event held at Hotel Annapurna in Kathmandu.